We are proud to be a highly performing school! Mobile ESD shares our building with the Mobile Elementary School. 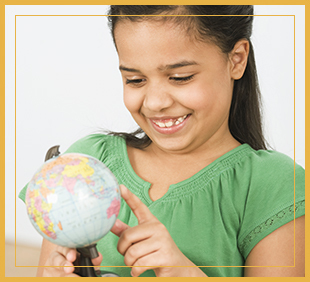 Our highly-qualified teachers and staff offer our students every educational advantage available. We treat each and every student with care and respect. We inspire our students to develop academic skills, personal character, and a willingness to serve our community. Our staff works hard to maintain good communication between our school and your home. We invite you to get to know the Mobile teachers and support staff. With your help, we ensure our students receive all the guidance and support essential for their success. All students can learn and achieve in a safe, disciplined environment in which they feel trust, support, and a sense of belonging. High achievement requires the commitment, communication, and participation of staff students, family, and the community. Teachers design challenging and engaging activities to develop higher-level thinking and problem solving. Teachers engage in professional development that directly impacts student achievement. Cultural diversity is embraced in an atmosphere of acceptance. Fair and consistent discipline prepares students to become responsible citizens. High standards and expectations are maintained through systems of accountability for all students and staff. A variety of teaching strategies, methods, and materials including the use of technology promote academic success for all students because children learn at different rates and in different ways. We give all students frequent opportunities to think critically, make appropriate choices, and grow in their ability to express themselves in creative ways. School districts and schools are organized to meet the needs and interests of all students. Students who come to school prepared and ready to take an active role in their learning will increase academic achievement and personal growth. Students learn best when they are actively engaged in meaningful and challenging work which fosters a love of learning. Students should gain knowledge, insight, and skills that enable them to achieve their full potential as adult members of society. School districts and schools promote the health, safety, and welfare of all. In partnership with parents, students, and community Mobile Elementary School District educates, challenges, and encourages students to become responsible, contributing citizens in our diverse society.